Daily Mail, by Daily Mail Reporter (London, England, June 1, 2013) — A new map of Pangaea, the supercontinent from 300 million years ago, shows where modern day countries would have been located in the ancient land mass. The East Coast of the United States would have bordered North Africa while America’s Gulf Coast was nestled against Cuba, according to the graphic representation that outlines the political borders of nation states. 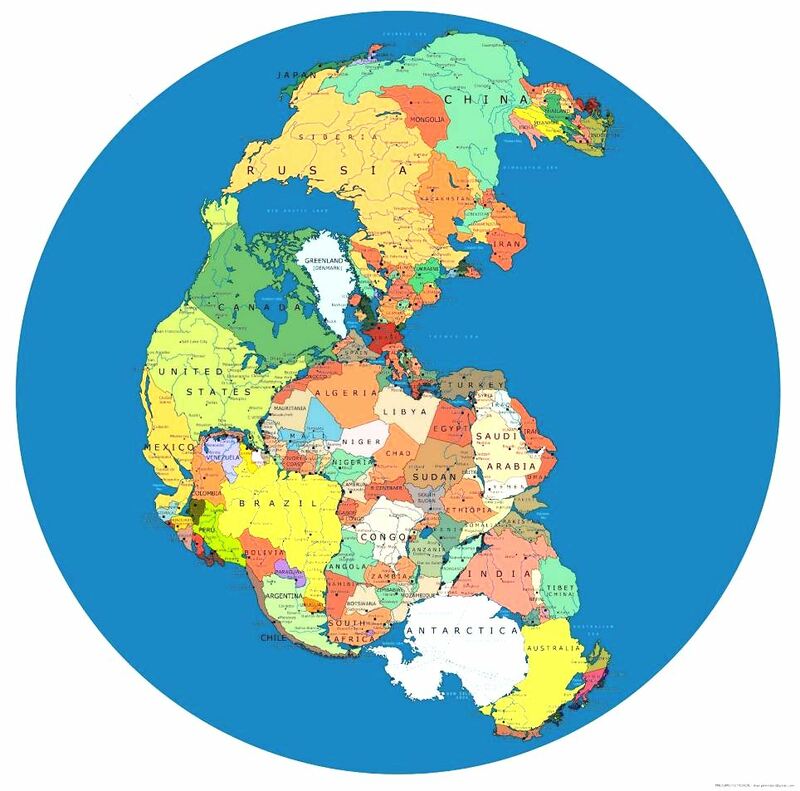 Fossil evidence suggests that 300 million years ago there was one super continent surrounded by a single ocean, Panthalassa. The map was originally posted on Reddit and was picked up by i09. ‘This continent would have an awesome rail road system,’ one user commented about the super Continent. Other geography enthusiasts wondered how different the world would be if many of these unlikely neighbors were still stuck together. ‘Brazil without a coast?! I’m glad we split apart,’ one user commented, since according to the historical view – Brazil would be land locked by Nigeria down to Namibia. The concept of the super continent was presented by German scientist Alfred Wegener. 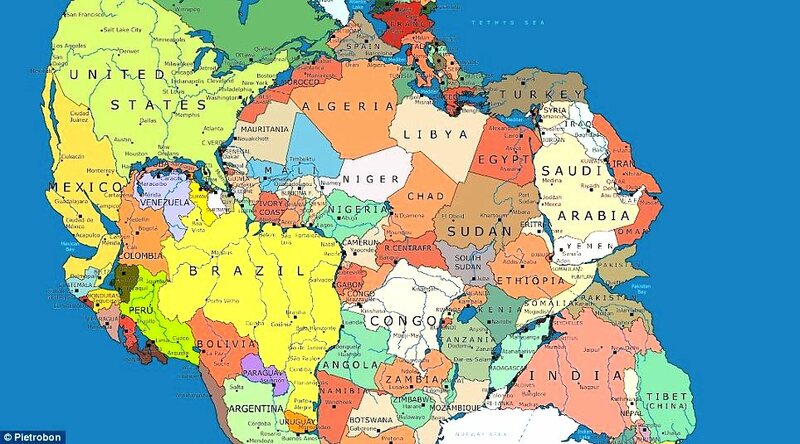 He noticed by studying the edges of the separate continents that it appeared that they had once all been pieced together like a jigsaw puzzle. The land mass, he called Urkontinent, separated into individual pieces as part of a process called continental drift. In 1912, he presented his theory of continental drift but the concept was shot down by his academic colleagues. His work was not widely accepted until the 1950s. 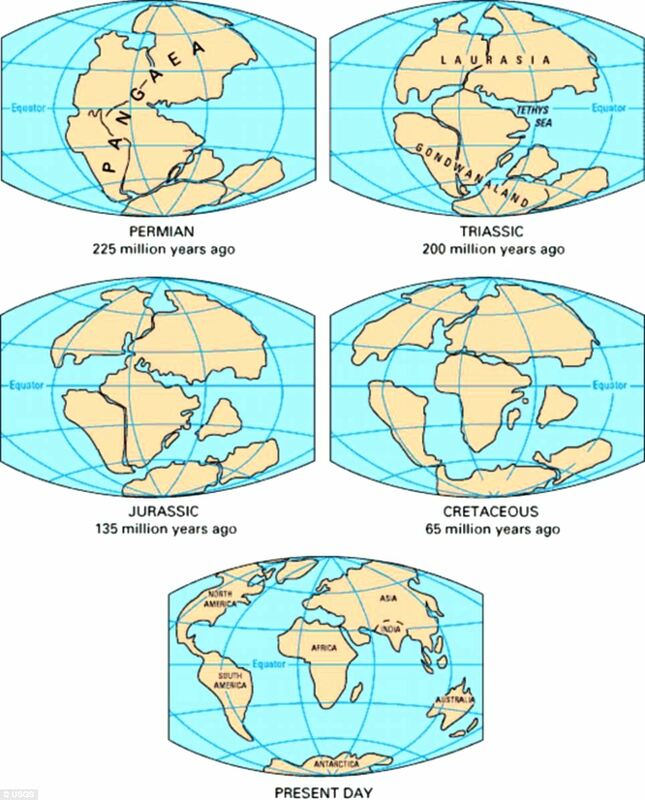 Wegener proposed that the process of continental drift began during the Triassic period, around 200 million years ago, when Pangaea began to separate. The break ups occurred during a series of phases until separate continents were formed. Whole new meaning to the Marrakesh Express.